Non-precious metal restoration, partially veneered with porcelain ordered by the dentist. Single restoration made from dry millable CoCr sinter metal Ceramill Sintron; 45 partially veneered, 46-47 anatomical crowns. 45 – Mesial contact point designed in porcelain for aesthetic reasons. Contacts in the buccal-occlusal region designed in porcelain and in metal in the lingual-occlusal region. 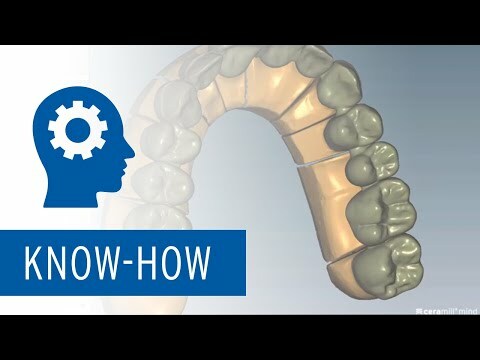 Easy designing taking into account the aesthetics and function using the Ceramill MindCAD software. Adequate space was already created in the CAD software to allow a porcelain design for the buccal region. The lingual cusp was left in metal due to the minimal space availability. 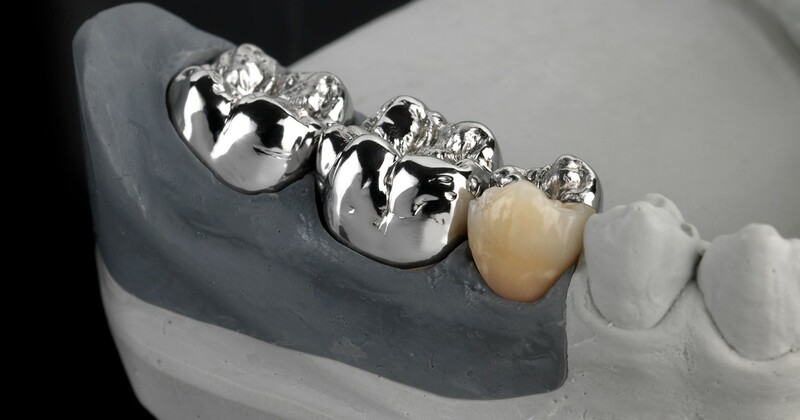 To provide an additional guarantee of function and reliability, care was also taken during the design of the occlusal surfaces to ensure that the contact points were not placed at the boundary of the two materials.